Mt. 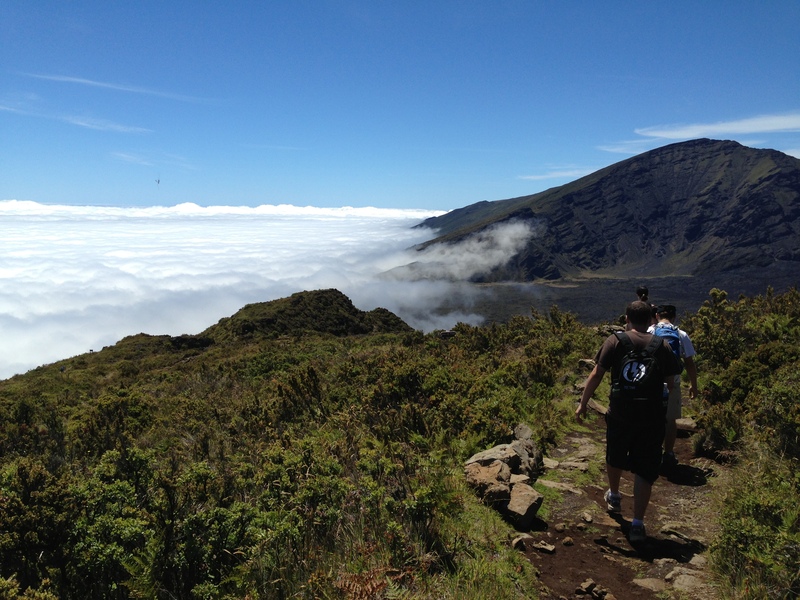 Haleakala is 10,023 feet high and is one of the two volcano’s that created The Valley Isle. Literally translating to “house of the rising sun.” Venturing to this dormant volcano is one of the most popular attractions in all of Hawaii. Have you ever been to Mars? It feels like it when you are surrounded by lava rock and sitting above the clouds. Go for sunrise, sunset, or just a hike. There are many ways to explore the Road to Hana AKA Route 360. Visitors can go by group and private tours, or venture on their own by car. There are 620 curves, 59 bridges, and like a 1,000 waterfalls pave the way to Hana. Reaching the end of the longest 52 mile drive of your life is truly an achievement worth doing. Ho’okipa Beach Park is one of the most famous beaches in Maui. It is also one of the most well known beaches in the world for professional surfing. In Hawaiian, “ho’okipa” translates to hospitality, which is definitely what this Beach Park offers to surfers and enthusiasts alike! 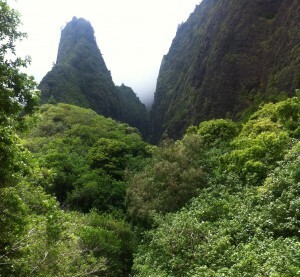 Iao Valley State Park is located just above Wailuku, in the Central Maui area. 4,000 acres in total, it is home to one of Maui’s most unique natural and historical landmarks. The 1,200-ft high “Iao Needle” is a green-mantled volcanic rock outcropping which looms above waterfalls and the Iao Stream. In 1790, Iao Valley was the location of the Battle of Kepaniwai, where King Kamehameha fought Maui’s army to unite the Hawaiian Islands for the first time. The Seven Sacred Pools is a natural spectacle, with a line of pools and waterfalls flowing from East Maui Mountain valleys to the Pacific Ocean. The best way to experience the beauty is by planning a camping trip to Hana! Reach the Ohe’o campgrounds by sunset after exploring road to Hana and awake to a magnificent morning in Kipahulu for a morning dip in the amazing Ohe’o Gulch Pools. South of Wailea, Makena State Park is 165 acres of glorious coast. 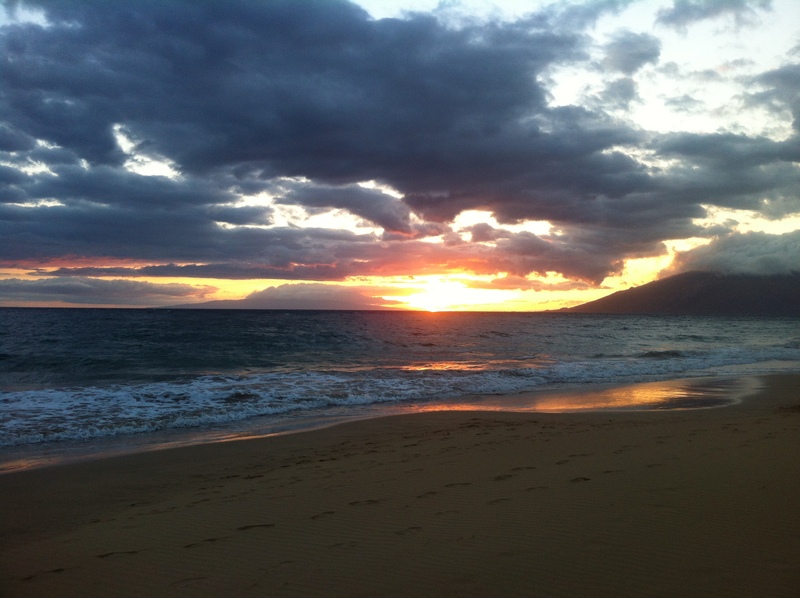 Two of the most fabulous beaches in Maui are located here; Makena’s Big Beach (Oneloa Beach) and Little Beach (Pu’u Olai Beach). Big Beach could be the most popular spot for bodyboarding, skim boarding, enjoying a day with your family/friends, and sunbathing. Big Beach is approximately 1.5 miles long, and 100 feet wide, offering mostly calm conditions, however it can have a strong under current and rogue waves depending the season. The State Park has 3 parking lots, public restrooms, and lifeguards. This tree is over 137 years old and spreads across 1-acre of downtown Lahaina. This is the largest Banyan tree in the United States. It was planted in 1873 to commemorate the 50th Anniversary of Protestant missionaries in Lahaina. The original single trunk, has expanded into over 16 trunks due to its signature aerial roots. Offering both Maui Community and Maui School programs year-round, this non-profit organization add’s value to all to take part in their customized activities in Maui. Learn more about Hawaiian environmental culture and the innate characteristics about Maui preservation that are important. 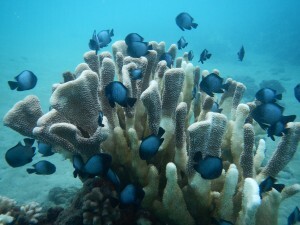 This is a great place for kids, and a wonderful place to offer up your philanthropic nature by volunteering in Hawaii. The Ali’i Kula Lavender Farm is located on the hillside of Haleakala. Founded by Agricultural Artist and Horticultural Master Ali’i Chang, this farm has become a cultural landmark. At an elevation of 4,000 feet, the Kula Lavender Farm on Maui is home to over 45 varieties of lavender and approximately 55,000 lavender plants. Check out their Daily Guided Walking Tours to learn more about lavender cultivation. Your senses will be on a calm overload as your breathe in the peace, beauty and tranquility of this awesome Maui attraction. Maui Ocean Center, Top-Rated Attraction in Hawai’i (Zagat Survey’s U.S. Family Travel Guide), provides an up close view of Hawaiian marine life without getting wet! Located about 20 minutes from Kihei and 30 minutes from Lahaina you can experience all kinds of Hawaiian fish, mammals, reptiles and invertebrates. You can even dive with sharks! You will be surprised how awesome of aquarium it is for such a small island.